The Greater Lafayette community offers a number of choices for working parents looking for “before or after” school care. Each program offers a little something different from help with homework to a wide range of activities including arts & crafts and a variety of sports options. Our list is not comprehensive, but notes programs we are familiar with in Lafayette and West Lafayette. We’ve also listed some of the fall sports programs for younger children. The YMCA’s Before and After School Program provides children ages 5-12 with a safe environment to receive homework help, make arts and crafts, participate in sports and recreation, swimming and much more! We are currently accepting registrations for the Fall! 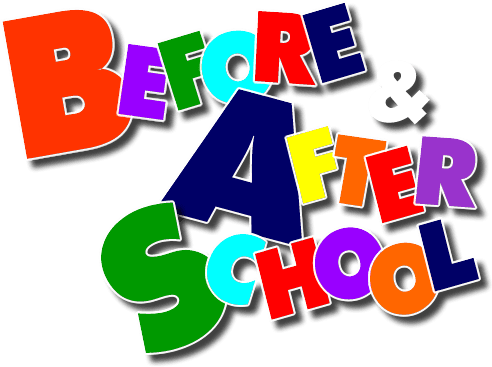 The YMCA offers its after school programs at it’s 18th Street location as well as at Lafayette Christian, Oakland, St. Lawrence, Vinton, Edgelea, Hershey, Mayflower Mill, Mintonye, Wea Ridge, Woodland, Wyandotte, Earhart, Glen Acres, Miami, and Miller schools. Hours are 6:00am – 9:00am and 2:45pm-6:00pm. Contact Claire Marshall for more information: claire@lafayettefamilyymca.org or register for School Age Childcare at the 18th Street YMCA welcome desk. Further information is available at http://www.lafayettefamilyymca.org/school-aged-childcare/. In addition to School services, the YMCA also offers soccer, T-Ball, basketball, volleyball and dance programs for kids ages 3 – 12. For more details and how to register go to http://www.lafayettefamilyymca.org/program-guide/. The LUM After School Program provides safe, fun and enriching childcare for children in afternoon kindergarten to 8th grade. The program serves up to 70 children for three hours each school day. The children are transported from local elementary schools to the LUM After School Program at First Christian Church — where they work on homework, have a nutritious snack, and participate in religious education, crafts, music, and other fun and educational activities. More details at http://client.lumserve.org/children-families/after-school-program/. Hanna Center’s After School Program offers homework time with tutoring and mentoring from Purdue and Ivy Tech students, and also provides children with fun, structured activities that are educational, diverse, and help foster a strong sense of community and self. Some additional opportunities we currently offer our after school kids focus on STEM with the EPIC program, Purdue Engineering, and continued collaboration with the Purdue Vet School. We also offer Health programs, yoga, and other activities. Transportation is available from Vinton, Glen Acres, Murdock, Oakland, Miller and Sunnyside schools. For more details visit http://www.hannacntr.org/after-school.html. Faith’s program provides a structured after school setting for children ages 5-11. Children receive homework assistance and take part in various activities including swimming twice a week. Location is the Faith Community Center with Before Care: 7:00 – 8:00 am; After Care: 3:30 – 6:00 pm. For registration information go to https://www.faithlafayette.org/childcare/before-after-school-care. Wabash Center’s After School program provides a safe and engaging environment for school-aged children with disabilities and special needs. Experienced staff members supervise each program, help with homework, and follow each student’s IEP. We provide transportation from school, offer a healthy snack, and staff our program until 6pm. The After School program can be utilized daily, weekly, or on a per need basis. Services are approved for Medicaid Waiver or private pay arrangement. For more information on the Wabash Center’s After School programs, please contact Dawn Barngrover. The Boys & Girls Club offer a number of after school activities including programs that work on Language Arts and Math; comprehensive health and wellness; youth leadership activities that focus on academic success, career preparation and community service; along with fun and rewarding activities like decorating cookies, painting and other learning events. The Boys and Girls Club of Lafayette has two locations that can accommodate children all over the Lafayette area. A van is available to pick students up after school from Vinton Elementary and Sunnyside Intermediate School. For all the details go to http://bgclublafayette.org/programs/. McAllister Center through the Lafayette Parks & Recreation department offers a wide variety of classes and youth sports. Youth Basketball is offered for boys and girls ages 6 – 11. This program runs twice per year during the spring and fall. Registration for the Fall 2018 session begins August 27th. Details at http://www.columbianparkzoo.org/493/Sports-Programs. Flag Football is offered by Lafayette Parks and Recreation and the Lafayette School Corporation for boys and girls ages 6 – 11. The program is held at Edgelea Elementary School on July 22 from 6 – 7 pm. . Registration deadline is September 5th at Jeff High School at 6:30 p.m. For younger players check out Flag Football Flyer and Registration Form. Fall Tennis is now underway. For more information, click here to visit the GLTA website, or contact Gerald Harrison at (765) 463-2740. Registration is limited. Sporties for Shorties offers children ages 4-5 an opportunity to familiarize themselves with sports through the Sporties for Shorties program. The program was designed to introduce the basic fundamentals of soccer, t-ball, flag football, and basketball through fun and exciting drills. For registration details go to http://www.columbianparkzoo.org/487/Sporties-for-Shorties. Lafayette 56ers is a youth cheer and tackle football league. We accept players from all school districts into our program. We are a member of USA Football, teaching Heads Up Football. This method teaches proper blocking and tackling form to lessen the chance of head and neck injuries. 2018 Registration dates are July 28 – 29; Aug. 4!! Go to Lafayette 56ers at http://www.lafayette56ers.com/home.php. This program introduces full contact football to eligible students in the 3rd, 4th, 5th, and 6th grades in the West Lafayette and surrounding area. Teams compete at the 3/4th grade level (against other 3/4th grade teams) and at the 5/6th grade level (against other 5/6th grade teams). The emphasis of our program is on safety, fun, sportsmanship, learning, and participation. For details go to https://wlyouthfootball.org/index.php.